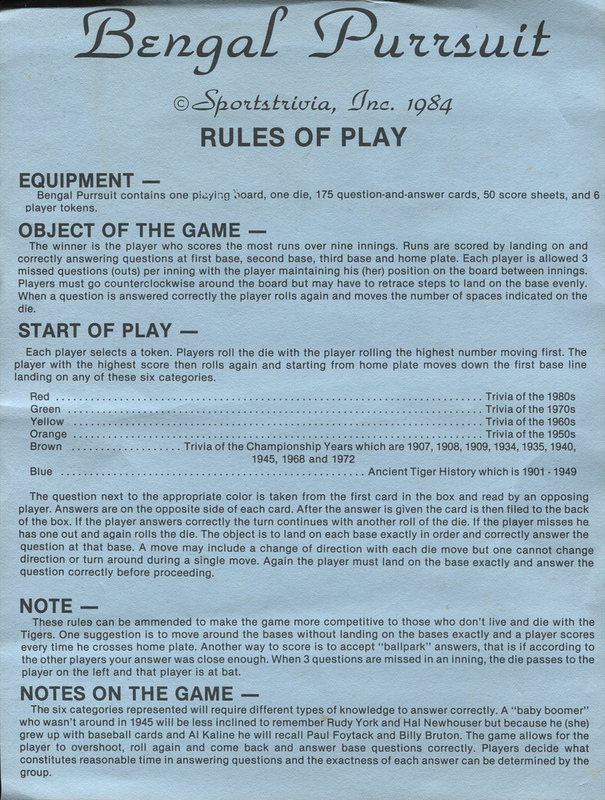 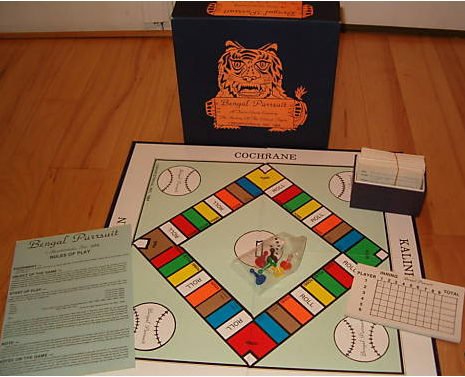 I was over at my friends' house a few weeks ago for a barbeque and a pair of their friends brought over a copy of this vintage board game as a gift. 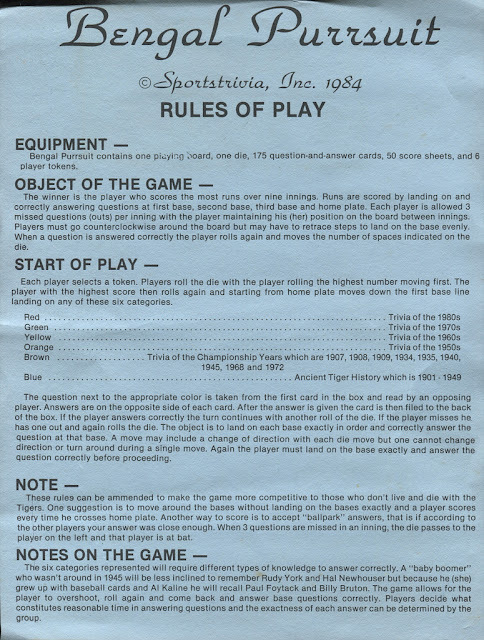 It's basically Trivial Pursuit with a Detroit Tigers theme, and I loved just about everything about it from the hand-drawn graphic design of the box cover to the game questions themselves. 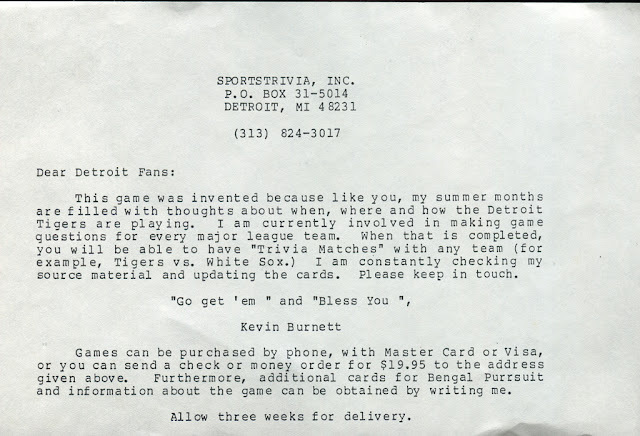 I also loved imagining the creator worrying about being sued by the Tigers organization and whoever owned the rights to Trivial Pursuit. 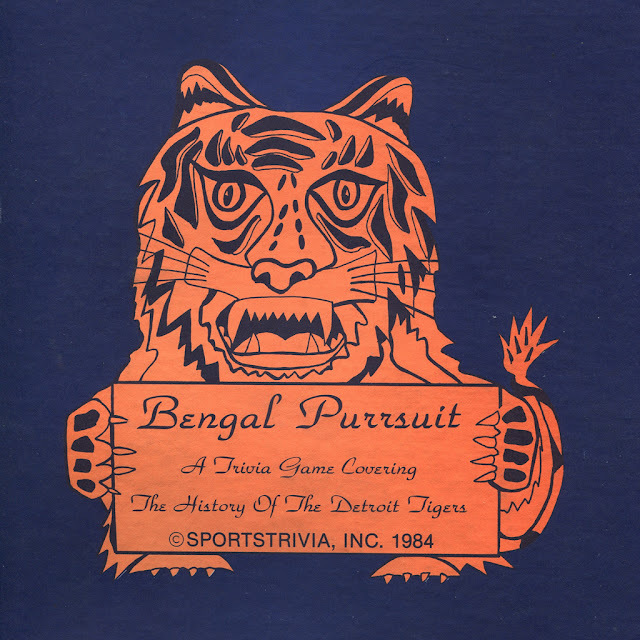 This game was released after the Tigers won the world series in 1984, and according to Wikipedia, the popularity of Trivial Pursuit peaked that year (over 20 million games were sold) so it's a perfect relic of its time. 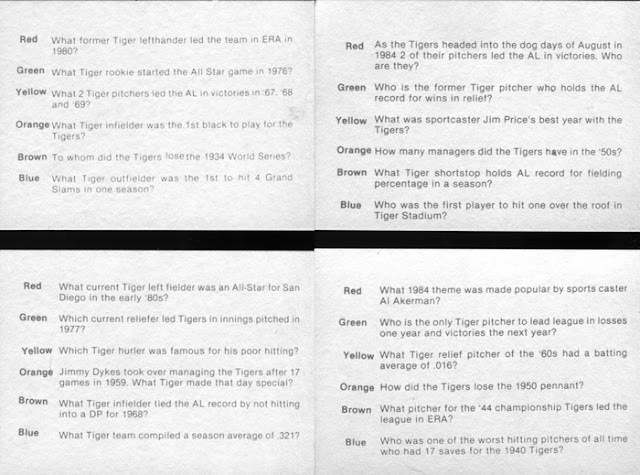 The questions are fairly impossible to answer unless you're zombie Ernie Harwell. I found this copy on eBay and plan on giving it to my friend Ryan for his birthday this month, out of gratitude for his introducing me to Grandpa's Pine Tar Soap. Twenty-six bars and counting, ladies.